The Spine of Albion is an intriguing book. It falls neatly into place as the third of a trilogy of books about long and important ley lines in Europe. The first was The Sun and the Serpent (1990) which charts the path of the St Michael Line from Land’s End to East Anglia. 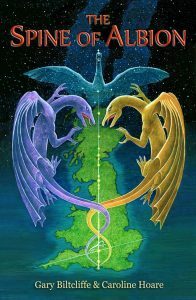 The second was the The Dance of the Dragon: An Odyssey into Earth Energies and Ancient Religion (2000) which follows the path of the major ley from Ireland to Israel. This crosses the St Michael Line at St Michael’s Mount in Cornwall. 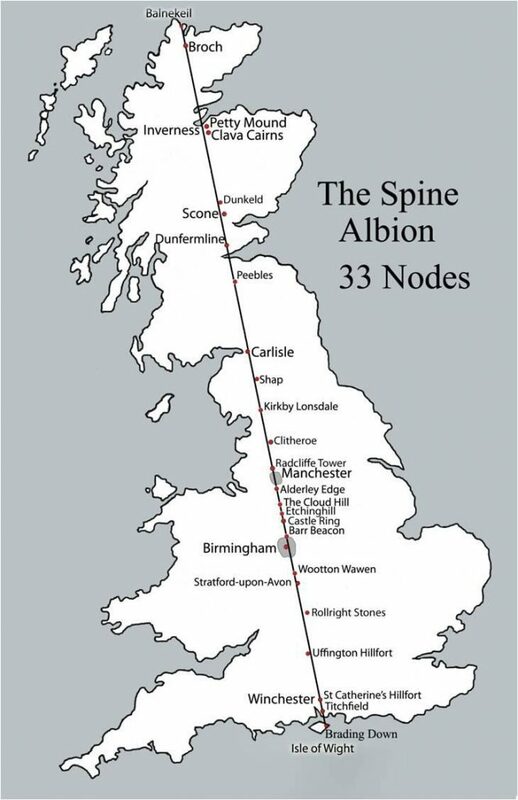 Now there is the Spine of Albion: An Exploration of Earth Energies and Landscape Mysteries which traces the Belinus Line from the Isle of Wight to Scotland. All three lines probably extend far beyond the start and end points mentioned in the respective books. 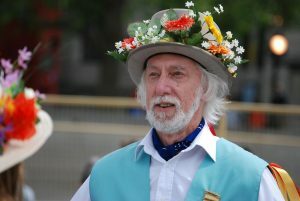 The authors, Gary Biltcliffe and Caroline Hoare, dedicated fifteen years of hard work following the line and visiting all the significant sites along its route. 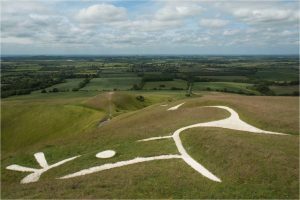 As they travelled from site to site they dowsed the path of the two complimentary male and female energy lines (or dragon paths), which they named Belinus and Elen. Wherever the two complimentary currents cross the each other on the alignment there is a node point that is of particular importance and power. The ley line alignment itself follows a rhumb line path and the two dragon lines weave around it. The line tracks the length of Britain at 14.5 degrees west of True North. At each location along the line we learn a lot about its history, symbolism, and heritage. The authors investigated the legends and folklore, and the archaeology and historical records of each site. The book is therefore not only the story of the journey along and around the line but it is also a detailed reference book. It is a guidebook to one of Britain’s most important ley lines. Anyone living close to a section of the alignment who wants to visit just a few of the sites can turn to that section and glean plenty of information about each location. 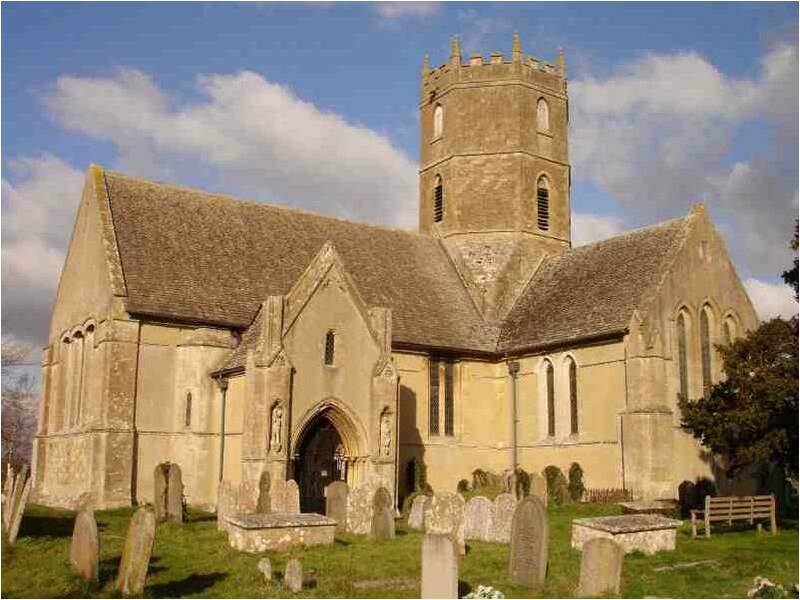 The print quality is excellent with plenty of colour photos of the many churches, abbeys, earthworks, sarsen stones, trees, wells, masonry, and countless other evidence. 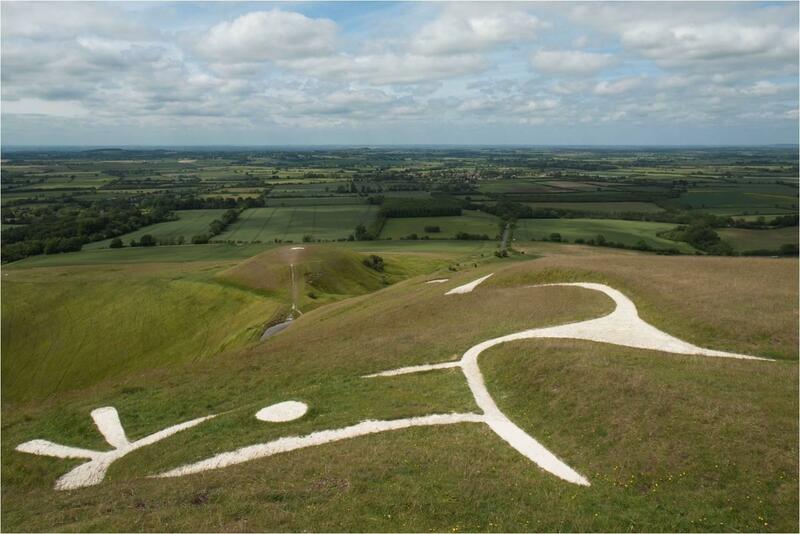 Uffington White Horse, or is it a dragon? Once you start reading this book your feet will start to itch. It’s an inspiration to start exploring the section of the Belinus line that is closest to you. There will be sites you will want to visit for the first time. There may be sites that are familiar to you that you will return to with deeper knowledge and understanding. 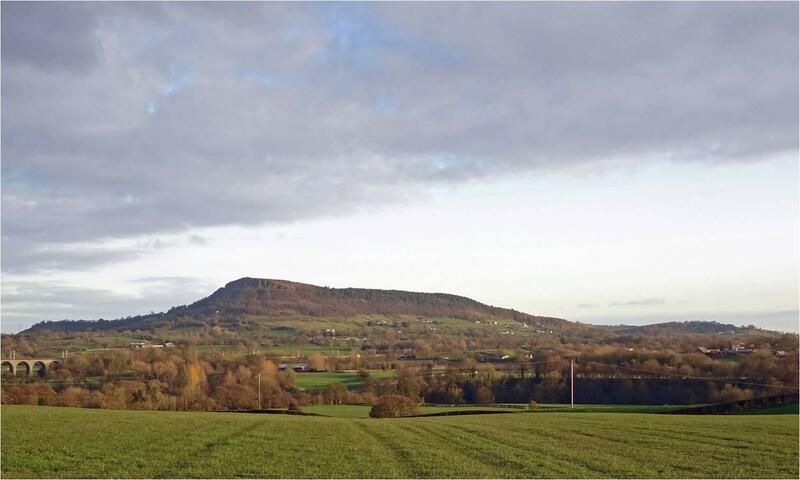 It is a book that compliments the resurgence of walking, following footpaths, and rediscovering Britain’s largely forgotten routes of pilgrimage. 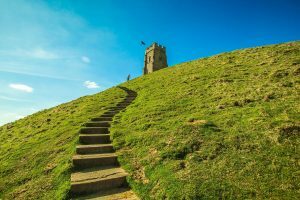 Pilgrimage in Britain is usually thought of a purely Christian activity but travel along sacred paths goes back a lot further. It is known that the early Christian monks and missionaries built their wattle and daub churches on or near existing sacred sites. By doing so and by following the old paths that interconnected these ancient sites the paths of Elen between stone circles and holy hills became paths of pilgrimage between churches and cathedrals. Dip into the Spine of Albion, find a path, follow it, and see where it leads you. Use this book as your guide and you’ll know what to look out for at each location. The Spine of Albion could easily be your guidebook for an exploration of the line that could take weeks to complete. We are all familiar with the fact that our busy everyday lives tend to absorb so much activity and attention that we have little left after all the supposedly important tasks are done. Just as light pollution prevents us from gazing in awe and wonder at the stars as our ancestors did, so our attention is drawn to the modern world and all its distractions. It takes a conscious effort to devote some time and attention to books like this but it is vitally important that we do so. For some it will be a pleasant enough read and an armchair journey to places that they may never visit in person. 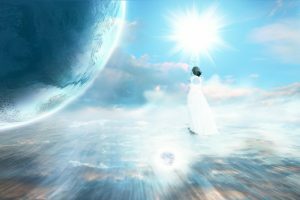 Whether you do manage to visit is not as important as being reminded of the significance of these alignments and the sanctity of the node points. Gary Biltcliffe and Caroline Hoare’s book delivers an important message for the 21st Century. It reminds us of how long these sacred sites have hummed with power generating the fertile atmospheres for the benefit of all. However, these power points in the earth’s energy grid need our attention and care. They need to be visited and and the paths need to be used lest they grow over. Neglected networks tend to atrophy and fall into disrepair. The result is a gradual depletion of vitality within the areas they designed to enliven. Be part of the restoration. Buy this book and learn about the node points nearest to you. Visit them and walk the paths that pass through them. You will not only become fitter and happier but you will also contribute to the restoration of Albion’s network of winding paths through the hollow hills.